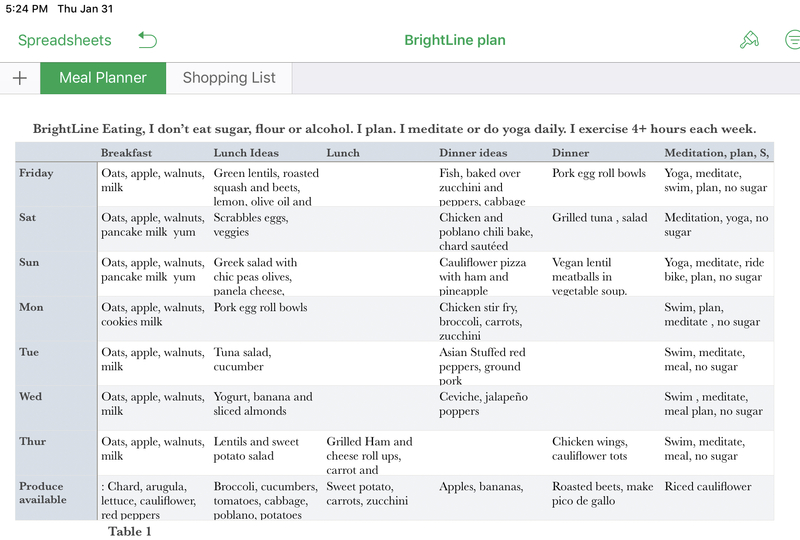 BrightLine Eating Menu, Low Carb Meal Ideas – What's for dinner, Doc? I also like to make Hawaiian Poke with sashimi. Grilled fish with lime and basil. I’ve been eating a lot of vegetables and salads. Lettuce salad can get a little boring so try mixing roasted vegetables like beets and sweet potatoes to greens or legumes. Add orange, lemon or lime juice to olive oil for fresh citrus salad dressings. Mix up your greens with chard, kale, spinach and fresh herbs. Here’s a hearty winter salad to try, Lentil Sweet Potato Salad Leave the maple syrup out if you’re eating with BrightLine. I don’t think it’s necessary anyway. Did you try brushing and flossing your teeth immediately after dinner to avoid night time binging? If you like Pinterest check out my Whole Food Recipe Board. and Health Chicken Recipes.